Rhinoshield makes some of our favorite cases, with offerings that are not only stylish and great protection for your phone, but also reasonably priced. 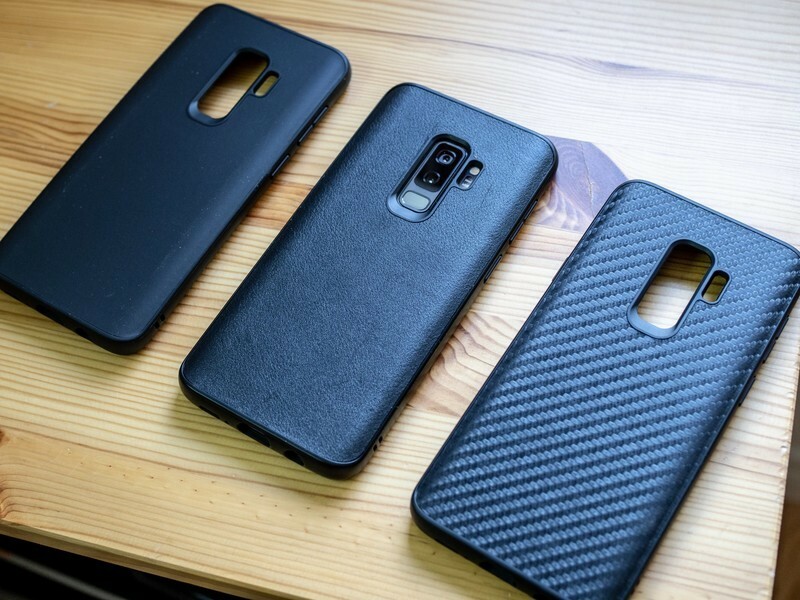 Their latest cases for the Samsung Galaxy S9 and Galaxy S9+ meet all of that criteria, and more! We’re teaming up with Rhinoshield to give one lucky winner a Samsung Galaxy S9+ and RhinoShield protection set, and 10 additional winners free cases! Keep reading for more info about the cases, a special discount, and to get entered into the giveaway! Besides the signature Rhinoshield CrashGuard Bumper, they’ve also released the SolidSuit Case to provide full cover protection for the S9 / S9+, as requested by many Android users. While the CrashGuard Bumper shows off the back of the phone in its minimalist design, the SolidSuit Case provides full cover protection and add a touch of class with its premium back finish (Carbon Fiber, Classic Black). Both the CrashGuard and SolidSuit are made of our latest ShockSpread™ material which provides over 11 feet of impact protection while being thin and lightweight. You can get a closer look at these cases in action here. And for a limited time, Android Central readers can use the code ANDROIDCENTRAL to save 20% on RhinoShield cases! THE PRIZE: One Android Central reader will receive a Samsung Galaxy S9+ and RhinoShield protection set, and 10 runners up will receive a RhinoShield case of their choice (or $30 gift card if case is not available for the winner’s phone).